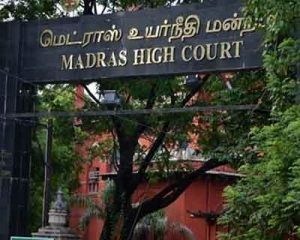 Chennai: The Madras High Court directed the Tamil Nadu government to forward medical records of a child, who allegedly developed a cancerous tumour after being vaccinated in Erode district, to AIIMS, New Delhi. A division bench comprising Justices S Nagamuthu and Anitha Sumanth directed the Health Secretary to forward the medical records relating to the child Anbarasu, to AIIMS, Delhi, and Tata Memorial hospital, Mumbai. It directed the Health Secretary to file the report received from experts on the matter on or before April 5. The bench gave the direction after perusing the report filed by the Health Secretary along with an enclosure of the Director of Public Health and Preventive medicine, on the steps taken by the state government to treat the child. The report concluded that the occurrence of cancer following immunisation has not been reported anywhere in the world. It also stated that Anbarasu was evaluated by a medical team of Adyar Cancer Institute which has given a summary assessment. The bench posted the matter to April 5 for resumed hearing. The judges in their order today said the case cannot be simply closed after accepting the statement of the Director of Public Health and Preventive Medicine. “Therefore as suggested by senior counsel K Kabir (appointed as amicus curiae in the matter to get expert opinion) we are inclined to issue the above direction,” it said and ordered the experts to answer a set of queries on the possibility of cancer due to immunisation. The bench had on March 21, treated the news report published in a Tamil daily as suo motu habeas corpus petition and directed the Chairman, District Child Welfare Committee, Erode, and District Collector to visit Anbarasu and persuade his parents to take the child to hospital for treatment.